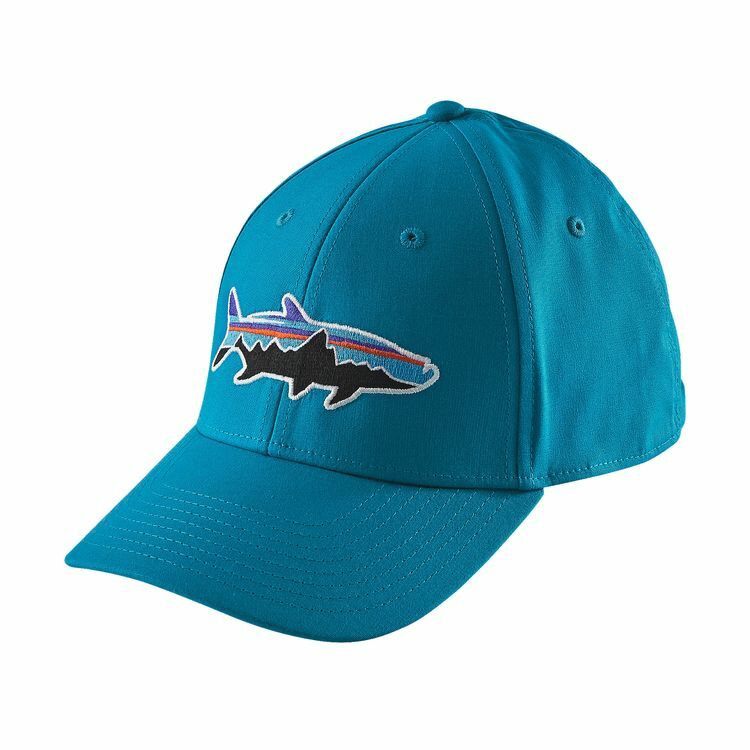 lower-profile stretch-fit hat made of lightweight 98% organic cotton/2% spandex fabric; it has a soft, brushed-elastic headband and an embroidered tarpon logo. Like its megalops namesake, the Fitz Roy Tarpon Stretch Fit Hat frequents coastlines from Argentina to Nova Scotia. The hat is made from lightweight, durable organic cotton (98%) with 2% spandex for extra give. A lower-crown, six-panel design and brushed elastic headband provide a close, comfortable fit. Available in two sizes: S/M and L/XL.